TMC Academy’s Higher Diploma is equivalent to the first two years of a UK Bachelor’s Degree with Honours! 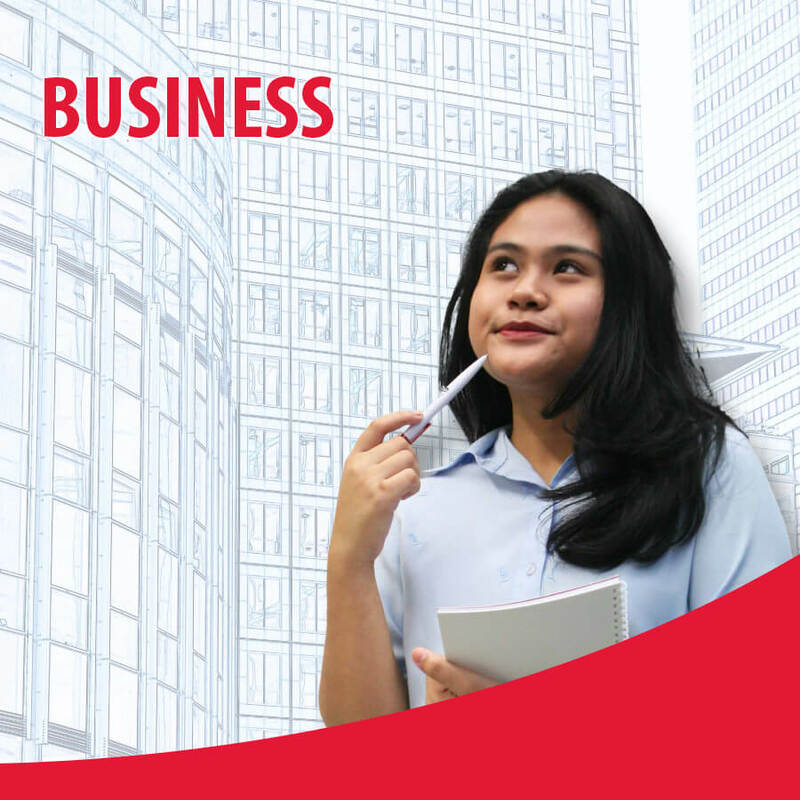 The Higher Diploma in Business Studies with International Business programme provides students a clear understanding of management and key business processes. This programme consists of an Industrial Attachment module, which is a paid internship program with leading companies in Singapore. It aims to provide students a platform to put the knowledge and skills acquired to practical use. Upon completion of this programme, students may choose to continue working or progress to the final year top up Bachelor’s Degree in Business and Management, Marketing Management, International Logistics & Trade Finance or International Accounting. * may be completed in 12 months (full-time) or 16 months (part-time) in the intensive mode. Examinations, assignments, projects, presentations, class tests, and/or practical tests. Students who successfully complete and pass the modules stipulated in the course structure will be awarded the ­Higher Diploma in Business Studies with International Business from TMC Academy. * Students must be at least 18 years old at the time of Industrial Attachment. GCE ‘O’ Level/NITEC/Higher NITEC holders may consider the following programmes: Foundation Diploma for Tertiary Studies or Diploma in Hospitality and Tourism Management. GCE ‘N’ Level holders may consider our GCE ‘O’ Level Preparatory Course. Alternatively, you may WhatsApp our course consultants at (+65) 9671 2110 or send us a message here. All fees indicated are in Singapore Dollars (SGD) and inclusive of GST unless stated otherwise. Course fee excludes application fee of $107.00. *International Student Admin Fee is charged once for bundled courses. Student not on bundled course will be charged an additional $367.50 International Student Admin fee if they progress to the next course. All fees indicated are in Singapore Dollars (SGD) and inclusive of GST unless stated otherwise. Course fee excludes application fee of $214.00. How did you hear of TMC Academy? TMC Academy are committed to safeguarding your personal data in compliance with the Personal Data Protection Act 2012. By submitting this form, you have authorized TMC representatives to contact and share with you our marketing, advertising and promotional materials.